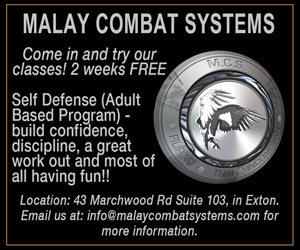 Springtime is a great time to start enjoying outdoor activities. But, with the vagaries of spring weather in this region, it’s a good idea to have backup plans for your weekend activity. 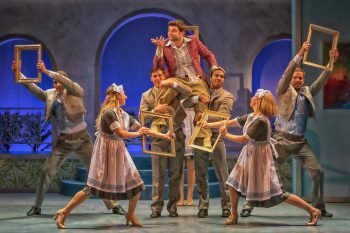 Spending time indoors watching a theatrical production is a great backup plan and this is a great time for theater options in the area. 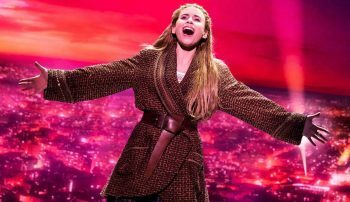 At the top of the list is “Anastasia,” a hit Broadway musical that has brought its National Tour to the Academy of Music (Broad and Locust streets, Philadelphia, 215-731-3333, www.kimmelcenter.org). The show, which is part of the Kimmel Center’s Broadway Philadelphia Series, is running now through April 14. “Anastasia” is a musical with music and lyrics by Lynn Ahrens and Stephen Flaherty and a book by Terrence McNally. Based on the 1997 film of the same name, the musical adapts the legend of Grand Duchess Anastasia Nikolaevna of Russia, who might have escaped the execution of her family. Years later, an amnesiac orphan named Anya hopes to find some trace of her family by siding with two con men who wish to take advantage of her likeness to the Grand Duchess. From the Tony Award®-winning creators of the Broadway classic Ragtime, this show transports audiences from the twilight of the Russian Empire to the euphoria of Paris in the 1920s, as a brave young woman sets out to discover the mystery of her past. Pursued by a ruthless Soviet officer determined to silence her, Anya enlists the aid of a dashing conman and a lovable ex-aristocrat. Together, they embark on an epic adventure to help her find home, love, and family. “Anastasia” ended its Broadway on March 31 at the Broadhurst Theatre. The musical opened at the Broadhurst in April 2017 and was nominated for the Drama Desk award for Best Musical, among other award nominations. The Broadway production played 34 previews and 808 regular performances. A U.S. national tour launched last fall, and international productions are currently underway in Stuttgart, Germany and Madrid, Spain. With its opulent settings, dazzling costumes, and a soaring score including the song favorites from the hit animated film, “Journey to the Past” and “Once Upon a December,” “Anastasia” is a spectacular musical about discovering who you are and defining who you’re meant to be. Two of the production’s major highlights are the vocal prowess of Lila Coogan, who plays Anya, and the breathtaking sets which employ innovative technology to create brilliant scenes. Video link for “Anastasia” – https://youtu.be/VDDzk5mQ-64. The show at the Academy of Music is running now through April 14. Ticket prices range from $25-$149. Another show playing now that is somewhat unfamiliar to area audiences is “Curtains,” which is running now through April 20 at The Candlelight Theatre (2208 Millers Road, Arden, Delaware, 302- 475-2313, www.candlelighttheatredelaware.org) . 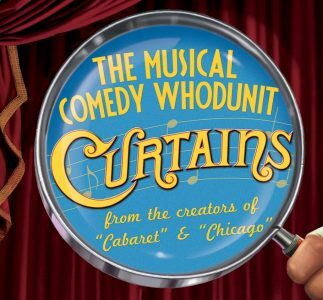 “Curtains” is a comedy musical murder mystery in two acts with book by Rupert Holmes, music by John Kander and lyrics by Fred Ebb. The original book and concept were by Peter Stone. The show features additional lyrics by John Kander and Rupert Holmes. 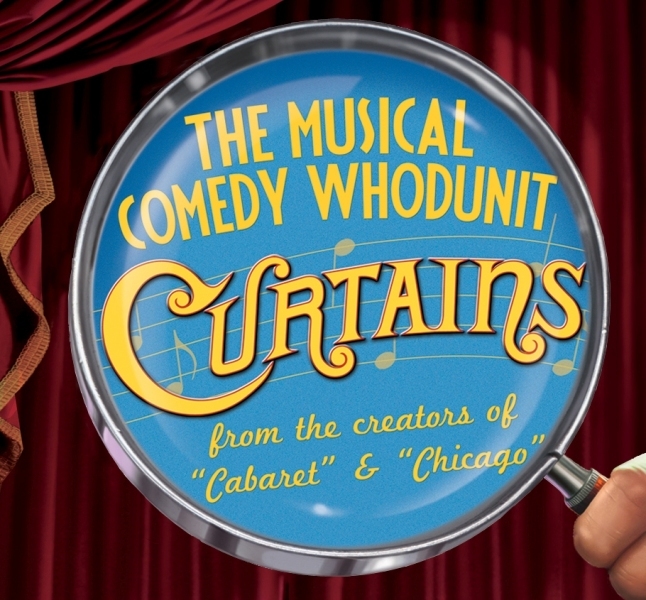 “Curtains” opened on Broadway in March 2007 at the Al Hirschfeld Theatre and closed in June 2008 after a run of 511 performances. One of the key performers in the show at the candlelight is Donna Dougherty, who plays the role of Carmen Bernstein. “I had performed the same role at The Players Club two years ago,” said Dougherty, during a recent phone interview from her home in Bryn Mawr. “Robbin’ Hood of the Old West,” a bad Western adaptation of the Robin Hood story, is reaching its conclusion. The untalented leading lady, Jessica Cranshaw, is amess. She can’t sing, act, or dance — or remember when to say her lines. To the relief of everyone, she is murdered during her opening night curtain call. The entire company comes under suspicion, and Lt. Frank Cioffi of the Boston Police Department is called in to solve the homicide. Believing that the perpetrator is still in the building, he sequesters it. The suspects include the hard-bitten lady producer, Carmen Bernstein; her husband, Sidney Bernstein; the show’s flamboyant director Christopher Belling; divorced songwriting team Aaron Fox and Georgia Hendricks; Stage Manager Johnny Harmon; choreographer/leading man Bobby Pepper, ingénue Niki Harris, and ambitious chorine Bambi Bernét. The company utilizes its spare time while holed up in the theater to attempt to fix the show’s problems. Niki, Ms. Cranshaw’s understudy, is passed up for the leading role in favor of Georgia, who is encouraged to take the role despite the protests of Aaron, who has fallen in love with her again. Cioffi, a theatre fan and amateur actor, becomes more involved with saving the show than solving the case. Cioffi finds himself falling for Niki, and she seems to return his affection, so he hopes she’s not the murderer. Meanwhile, secrets are surfacing, the production numbers in “Robbin’ Hood” are rewritten, rehearsed and rewritten again, and the body count is rising. 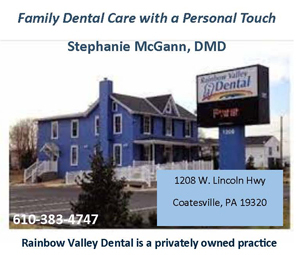 Dougherty plays the role to perfection as she exhibits her character’s ribald language and politically incorrect attitudes – attributes that Dougherty could not do in her real life career as a suburban Philadelphia lawyer. “I especially like the character I play. She has great numbers and great lines. She’s got heart. She’s got soul. I can relate. It’s a fun role to play. “Curtains” is running now through April 20. Performances are Friday and Saturday evenings (doors 6 p.m./show, 8 p.m.) and Sunday afternoons (doors, 1 p.m./show, 3 p.m.) with an added matinee show on April 17. Tickets, which include dinner and show, are $63 for adults and $33 for children (ages 4-12). Another top-flight theater production that is running now through April 14 is taking place in downtown West Chester. The Resident Theatre Company is presenting “Dirty Rotten Scoundrels” at the Uptown! Knauer Performing Arts Center (226 North High Street, West Chester, www.rtcwc.org). RTC has welcomed back two of the lead actors from the blockbuster hit that opened the company in 2017, “Monty Python’s Spamalot.” Mark Woodard, who played King Arthur, returns as the suave ladies’ man, Lawrence Jameson. Lukas Poost, Sir Robin in “Spamalot,” plays the part of Freddy Benson, who more humbly swindles women by exploiting their compassionate side. Bailey Seeker, who plays the role of Christine Colgate, is an RTC alumna “Bullets Over Broadway” last spring. Jolene Oakes, an overbearing heiress from Oklahoma, is played by Australia native, Philippa Lynas, whose credits include Carnegie Hall and the UK National Symphony. The cast is completed by an ensemble of professional actors — Dana Orange, Nick Abbott, Dorian O’Brien, Josh Schwartz, Lily Myers, Alyssa Arcangeli, and Michelle Lemon. Kristin McLaughlin Mitchell, RTC’s Founding Artistic Director, is the director; Dunn, who was last seen at RTC creating the choreography for “Evita” and “Bullets Over Broadway,” is the choreographer and Mike Pacifico is the Music Director. When audiences watch “Dirty Rotten Scoundrels,” they fall into three categories. There are those who have seen the film starring Michael Caine and Steve Martin, those who have never seen the film and are unfamiliar with the story, and those who have seen the musical (which isn’t very likely because it only went out once on a brief national tour). One thing is common to all three groups watching the musical comedy — they will laugh…actually, they will laugh a lot. The show is funny, and the humorous activity never stops. It is the story of two men competing to swindle an American heiress out of $50,000. Caine plays the educated and suave British con man Lawrence Jameson, who stages elaborate ruses to acquire the wealth of rich women, so he can spend it on culture and a lavish lifestyle. Martin plays his less-refined American rival, Freddy Benson, a small-time trickster on the hunt for free meals and twenty-dollar bills. It takes place in the French Riviera. “Dirty Rotten Scoundrels” is running now through April 14 at the Uptown! Knauer Performing Arts Center in West Chester. Ticket prices range from $25-$56. Now through April 14, “How To Catch Creation” will be performed by Philadelphia Theatre Company at the Suzanne Roberts Theatre (480 South Broad Street, Philadelphia, philadelphiatheatrecompany.org). From the acclaimed “Kilroy’s List,” a gender parity initiative to increase representation for women and trans playwrights, “How to Catch Creation” is Christina Anderson’s stunning play that takes place in San Francisco and follows four artists and who are struggling to nurture creative impulses and establish a legacy in both their professional and personal lives. When one discovers the works of a black queer feminist writer from a bygone era, their lives begin to intersect in unexpected ways. In this bold, imaginative play, Anderson dissects the universal act of creation—creation of life, of family, of art—to inspire the dreamers and idealists in us all. “I started working on the play in 2014,” said Anderson, during a recent phone interview from Providence where she is the interim Head of Playwriting at Brown University. In the play, a man who was wrongly incarcerated for 25 years is unable to go to his mother’s funeral and now has trouble adapting. He is forced to engage with the same system that put him in prison when he tries to get approved to adopt a child. Another character is ambivalent about her relationship, even while subsuming her own needs to try and make it work…another is in a relationship with a writer, and we see what happens when that person feels she takes second place to her partner’s work. According to Anderson, “I had a year-long residency at the Magic Theatre in San Francisco. It was my first time living on the West Coast. I met so many wonderful and progressive black folks living beautiful and dynamic lives, so I knew I wanted to capture a similar energy in a theatre piece someday. “American Conservatory Theatre gave me a commission to write a play about the Civic Center neighborhood surrounding their secondary theater space. This commission sparked the idea that would become ‘How to Catch Creation.’ The vibe and essence I experienced in The Bay inspired this piece, but ultimately the geography is unique to this story. “I started with a character named Griffin. He is a man who was recently exonerated after serving 25 years of a 75-yer sentence. We meet him a year after he was released. The show is directed by Nataki Garrett and the cast features Tiffani Barbour, Jonathan Bangs, Shauna Miles, Shayna Small, Lindsay Smiling, and Stephanie Weeks. “How to Catch Creation” is running now through April 14 at the Suzanne Roberts Theatre. Ticket prices range from $10-$69. On April 14, there will be another show in the area that is not a musical but has some of the elements of a hit musical – great music and strong storytelling. The show is a concert by Livingston Taylor. On Sunday night, Taylor will make an infrequent area appearance with a concert at Delaware Valley University (Life Sciences Building, 700 East Butler Avenue, Doylestown, https://www.eventbrite.com/e/an-evening-with-livingston-taylor-tickets-57722214698). “In my live shows, I do speak about the songs – who wrote them…why they wrote them,” said Taylor, during a phone interview Thursday morning from his home in Watertown, Massachusetts. Taylor picked up his first guitar at the age of 13, which began a 50-year career that has encompassed performance, songwriting, and teaching. Born in Boston and raised in North Carolina, Livingston is the fourth child in a very musical family that includes Alex, James, Kate, and Hugh. Livingston recorded his first record at the age of 18 and has continued to create well crafted, introspective, and original songs that have earned him listeners worldwide. “I really like to play and see my music brought to people,” said Taylor. “It’s my 50th anniversary of making a living by playing music. There is a very big difference between being a good professional and an amateur. A half-century later, it’s obvious that it has worked. From Top 40 hits “I Will Be in Love with You” and “I’ll Come Running,” to “I Can Dream of You” and “Boatman,” the last two recorded by his brother James, Taylor’s creative output has continued unabated. His musical knowledge has inspired a varied repertoire, and he is equally at home with a range of musical genres — folk, pop, gospel, jazz — and from upbeat storytelling and touching ballads to full orchestra performances. Taylor is a natural performer, peppering his shows with personal stories, anecdotes and ineffable warmth that connect him to his fans. His relaxed on-stage presence belies the depth of his musical knowledge, and fans might just as often be treated to a classic Gershwin or something from the best of Broadway. Taylor is a full professor at Berklee College of Music, where he has taught a Stage Performance course since 1989. He teaches young artists invaluable lessons learned over the course of an extensive career on the road. His high-selling book, “Stage Performance,” which was released in 2011, offers those lessons to anyone who is interested in elevating their presentation standards to professional standards. Longley is a highly-successful Nashville-based singer/songwriter/performer who graduated from Downingtown High and Berklee College of Music. Taylor has stayed busy with music all these – performing a fair amount but not recording much. 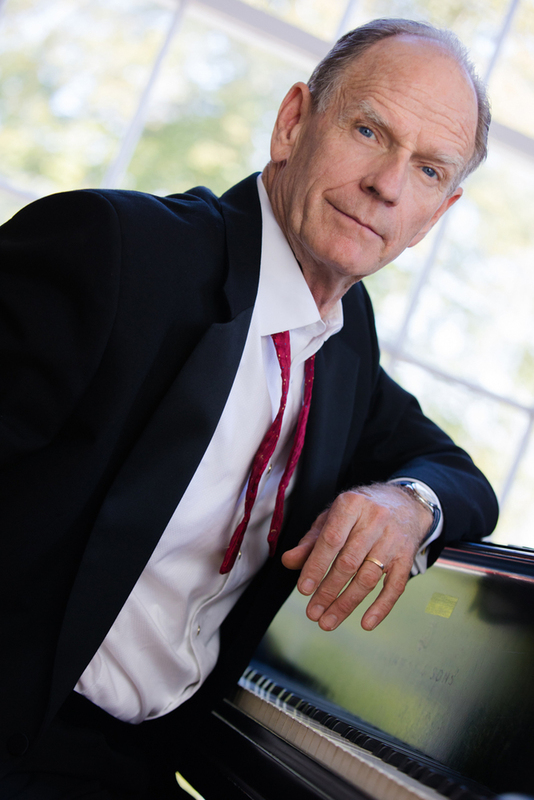 Video link for Livingston Taylor – https://youtu.be/HKlam3eXSSY. The show at Delaware Valley University will start at 7:30 p.m. Tickets range from $25-$45.